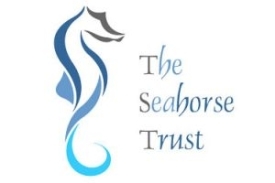 Seahorses are some of our most facinating fish species. 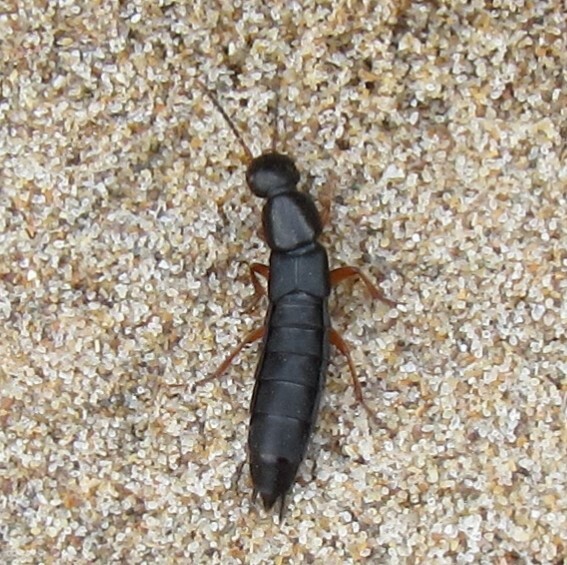 And yes, we do get these exotic-looking creatures in UK waters. though, especially on the beach. So we were delighted to hear about this find. 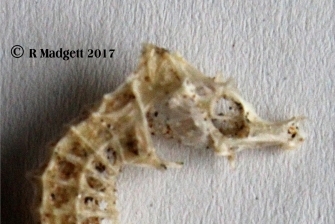 This seahorse skeleton was found at Crow Point in North Devon. It's a beautiful find and a rare one too. Complete skeletons don't often turn up on UK beaches. It was found by Rosemary Madgett who was suprised to see it there and to see it so intact. 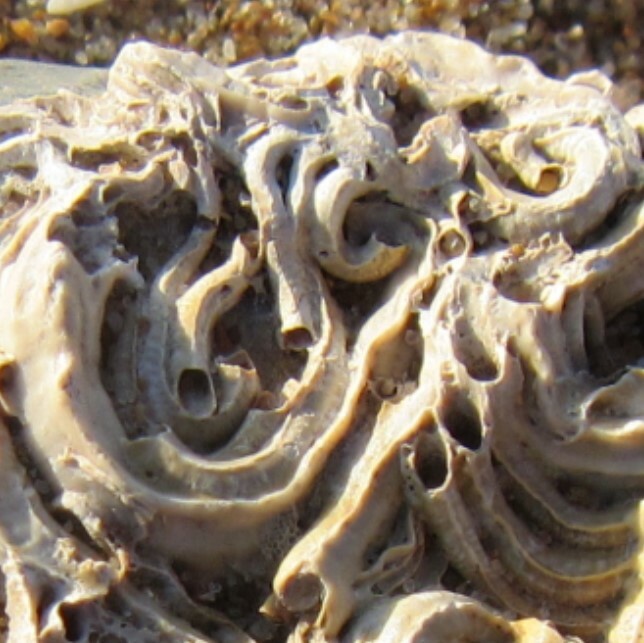 How the delicate skeleton survived waves and walkers we'll never know but it looks pretty intact. Seahorses are fish that choose to swim upright, a tiny fin on their back flicks back and too rapidly to keep them moving. 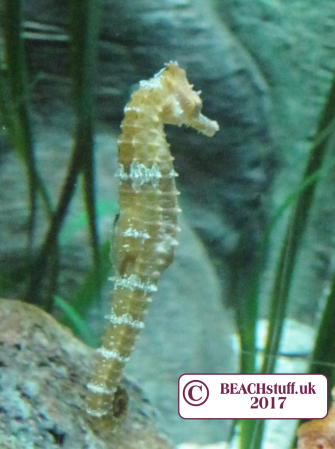 We have two species of seahorse in UK seas - the spiny seahorse and the short-snouted seahorse. 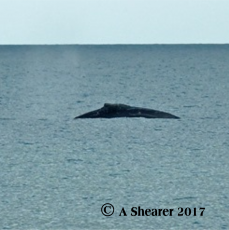 Reports of both have been made off the coast of North Devon where the skeleton was found. This skeleton has been identified as a short-snouted seahorse. 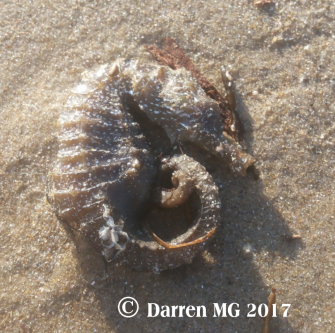 Darren found this recently beached, but sadly dead, seahorse on the Black Sea - Krasnodarsky Kray, Caucasus. 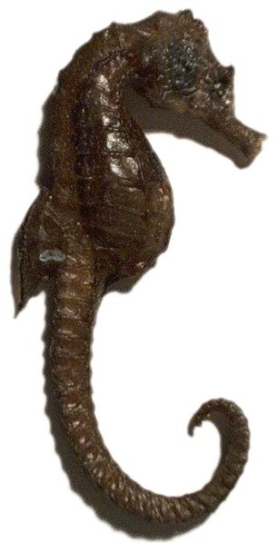 It looks as though this is a long-snouted seahorse, native to the Black Sea and not found in UK waters. 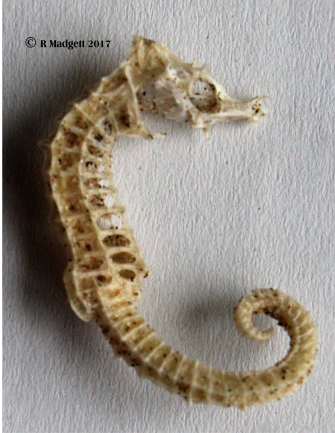 This perfect and dried seahorse was found in Brittany, Northern France a few years ago. For more fish finds, visit this page.